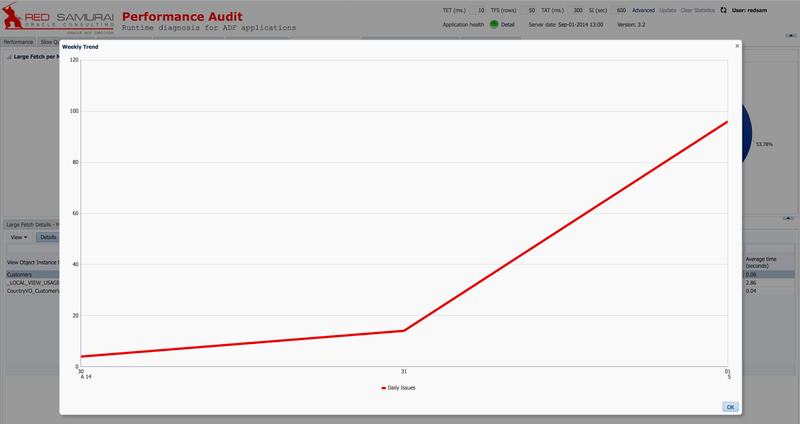 I have deployed our tool for ADF performance monitoring to Oracle Java Cloud service. It runs perfectly on the cloud, monitors slow performance and allows to analyse collected performance data. All data is stored in Oracle Database Cloud. 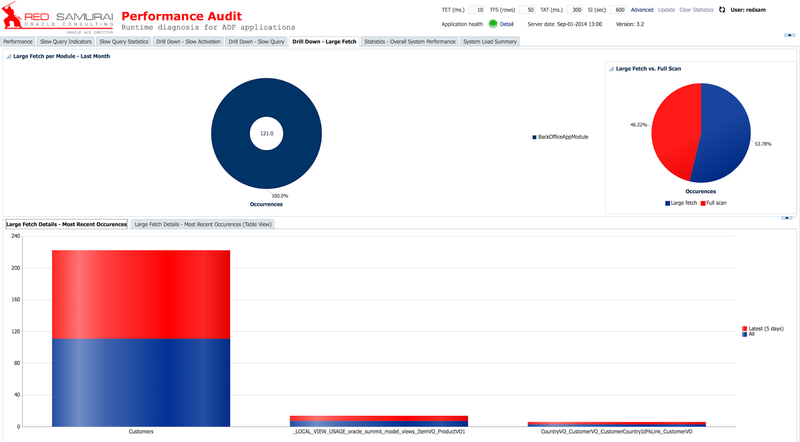 You can access performance monitoring dashboard using this address. Access will be available for a month or so, until my trial account will expire. You would need to use following login credentials - user: redsam, password: We1come@, identity: ltredsamuraictrial99050. 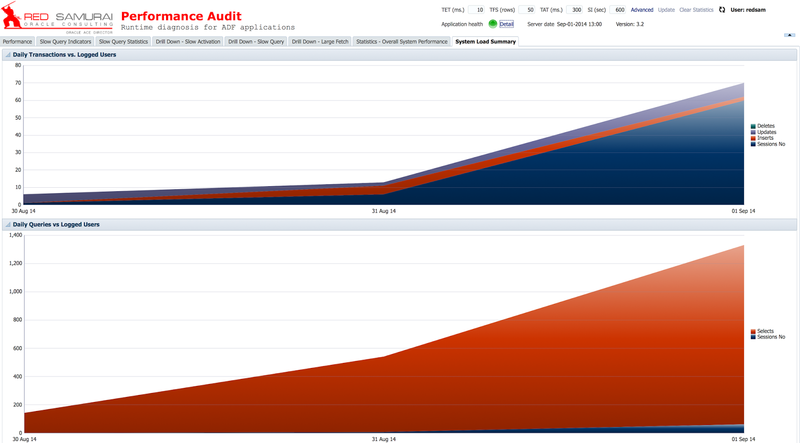 You can login and play online with our performance audit dashboard. There is ADF demo application deployed as well, Summit App - accessible here (same login credentials). 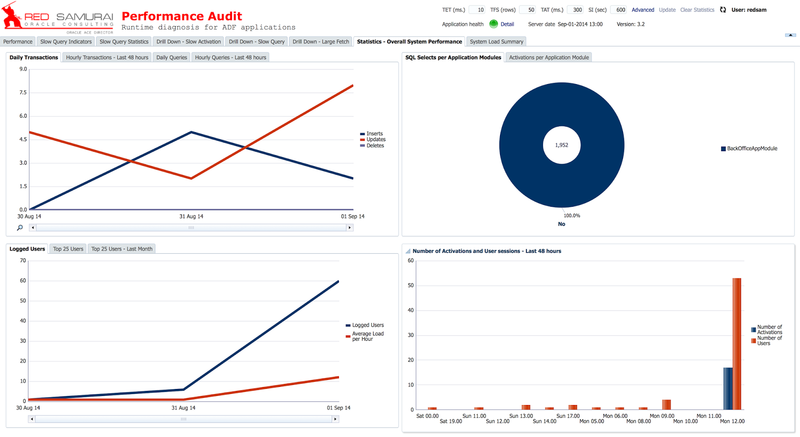 This standard demo application is extended with our audit listener to log slow ADF performance into Oracle Database Cloud instance. 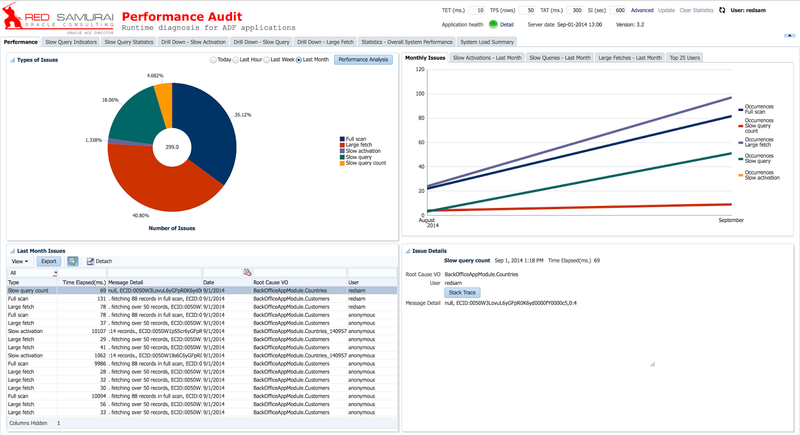 Use it to generate some audit data, simply by navigating through the application, updating and inserting data. You could select issue from the list and check details -Application Module, View Object names. SQL statements with bind variables are available for slow SQL executions. There are very helpful features available, such as historical performance analysis option and application health automatic calculation.